Ships today if you order in the next 11 hours 34 minutes. 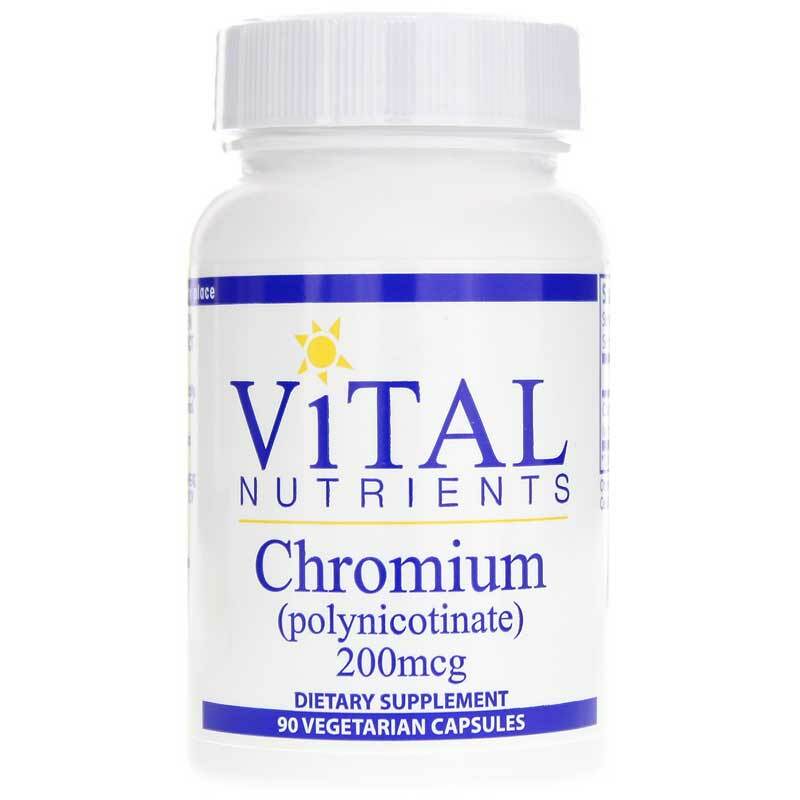 Chromium (Polynicotinate) by Vital Nutrients is a natural chromium supplement that provides support for maintaining cholesterol levels that are already within the normal range, as well as the metabolism of fats and sugars. 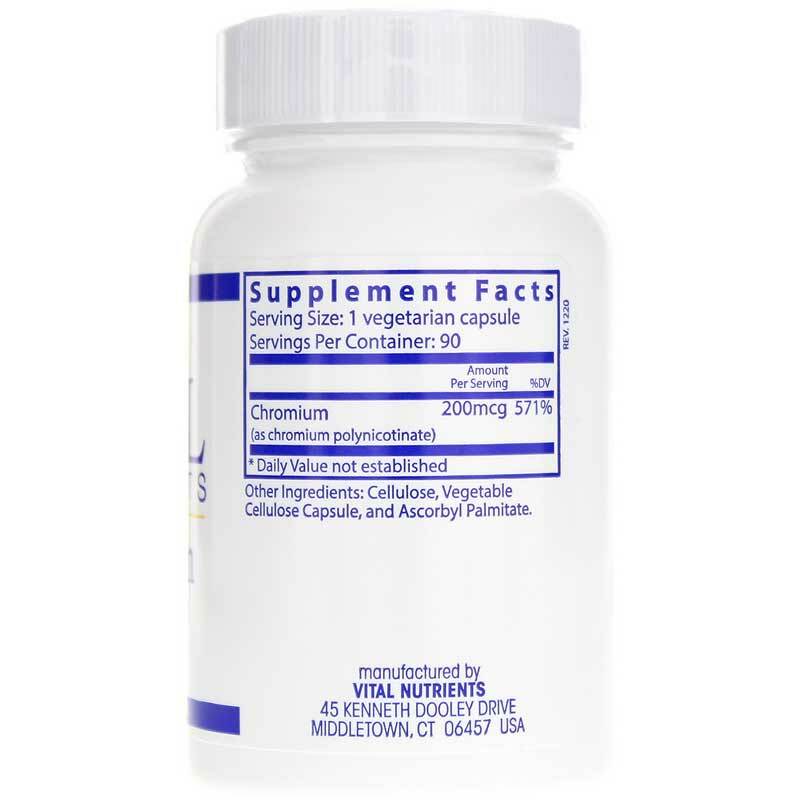 Chromium is necessary for the uptake of glucose into cells. Quality: Independently tested for authenticity, potency, heavy metals, solvent residue, stability and bacteria, yeast and mold counts. 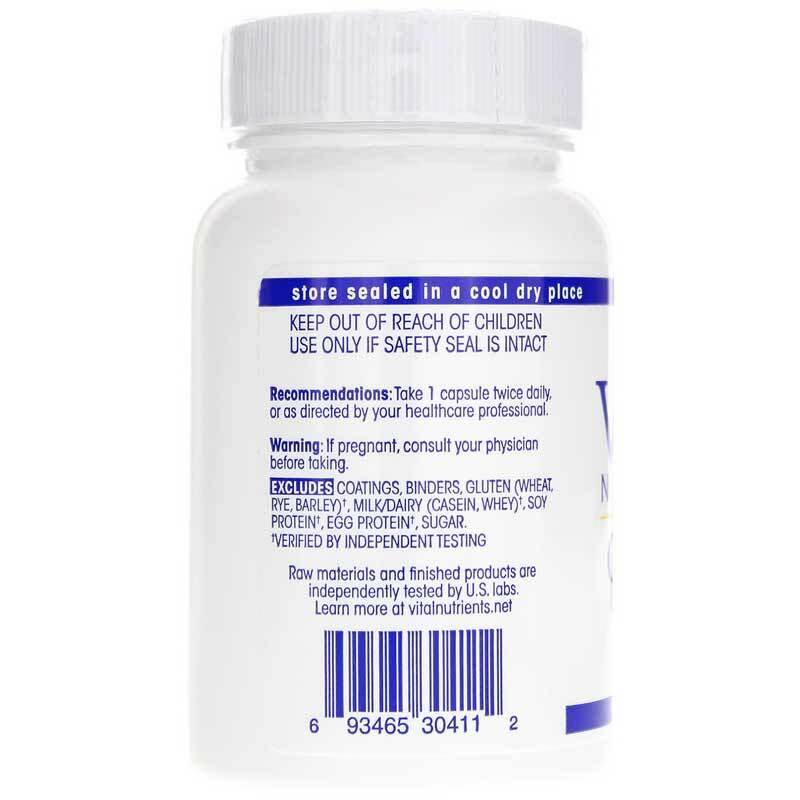 Other Ingredients: cellulose, rice powder, gelatin capsule, and ascorbyl palmitate. Adults: 1 capsule once or twice daily, or as directed by a healthcare practitioner.